Tru-Spec Delta Pants great for the winter? Tru-Spec has come out with a lot of new material designs in the last couple years, it’s yet another thing people don’t always comprehend when shopping online, especially guys that don’t know fabrics. There are lightweight pants, and there are heavy weight pants, but there are a lot of in between fabrics. The Tru-Spec Delta Pants are not what I would consider “heavy” but since the majority of people always want lightweight clothing, considering that so much of the United States is in for a cold winter, you gotta switch from lightweight to something warmer and Tru-Spec has you covered. People will always have their preferences in fit and pocket design, but the selling points for this pant is that it has spandex built into the the cotton fabric, which gives you a softer and more flexible feel. 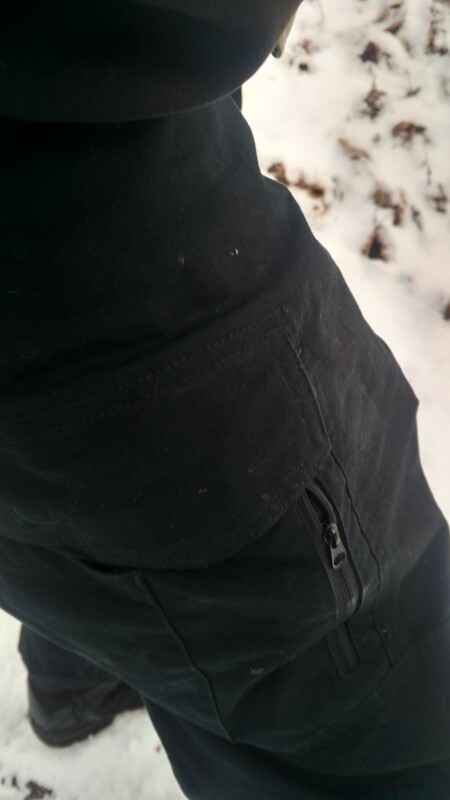 There is no ripstop in this pant like so many other pants in this industry, and it’s a layer of clothing you are going to wish you had if you are working in 15 F temperatures. The Tru-Spec Delta Pants are available in Khaki, Black and Coyote are priced at $54.95.